Tax reform should be about one thing: Putting money in the pockets of working people in Ohio and across the county. That’s what President Trump says he wants. That’s what I want. And I hope we get there. Unfortunately, that’s not what this bill does right now. Instead, this bill hands more than a trillion dollars to wealthy multinational corporations — some of the same corporations that have sent American jobs overseas — and asks working people to trust that somehow that money will end up increasing their wages. The only problem is, it doesn’t work. It never has. Over the last 40 years, corporate profits have gone up, executive salaries have gone up, GDP has gone up. Corporations today have record amounts of cash and the stock market continues to hit record-breaking highs. But what about the wages and benefits of the American workers who created all that wealth? They are flat and in too many cases declining. If record corporate profits haven’t resulted in worker pay raises, why would corporate tax cuts be any different? Congress bought what they were selling. And in 2005, the Times reports that $299 billion did in fact flow back into the United States, but the jobs never came. Instead, that money went straight into the pockets of corporate executives, corporate board members, and shareholders. In fact, according to the Senate’s own report, the same corporations that took advantage of the tax holiday actually laid off American workers — the top 15 alone cut 20,931 American jobs. And at the same time, they increased annual compensation for their top five executives by 27 percent. Wall Street got paid and American workers got cheated. The solution is pretty simple. Let’s cut out the middle man. Instead of giving money to corporations, and hoping some of it ends up in the pockets of working people, let’s just give the money directly to working people. If we want to cut taxes for the middle class, let’s cut taxes for the middle class. That’s how we grow our economy. That’s how we create jobs — not through stock buybacks, but by giving money directly to consumers who will spend it at the gas pump, the grocery store, the local mall and car dealerships — on family vacations and at local restaurants and sporting events. We have a chance to work together in a bipartisan way to do some real good for American workers. The middle ground here is obvious: instead of blindly dolling out a trillion to multinational corporations who send jobs overseas, let’s target those companies that actually create good-paying jobs here in the United States. That’s the Patriot Employer Act. If you keep jobs in the U.S. and invest in American workers, you get a tax cut. If you send jobs overseas and take advantage of American workers, you don’t. By targeting tax cuts toward those corporations who help grow our economy, we save billions of dollars that we can put directly in the pockets of American workers by expanding tax cuts for the middle-class. Corporations are beholden to quarterly earnings reports. But families don’t think in terms of three-month earnings quarters. They think in terms of school years, and 30-year mortgages, and years left to save for retirement. We need a tax code that does the same, one that responds to the needs of working families, not Wall Street. It’s not corporations that drive our economy, it’s workers. So let’s give a tax cut directly to them. We have offered to work with our Republican colleagues on this committee. We’ve offered to work with the President. I said that to him directly at the White House with many of my colleagues. Our door has been open, and it continues to be open. We want to work together to pass tax cuts for working families and middle-class Americans and reward employers who invest in American jobs. So let’s work together to put money directly in the pockets of the American people. 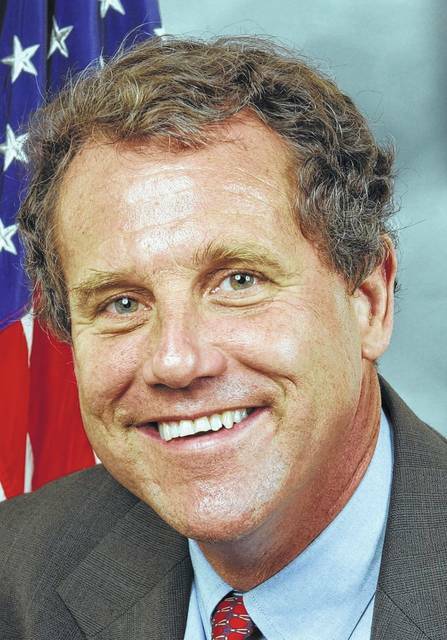 Editor’s note: This was Sen. Sherrod Brown’s opening statement during a hearing Monday, Nov. 13 before the U.S. Senate Finance Committee.